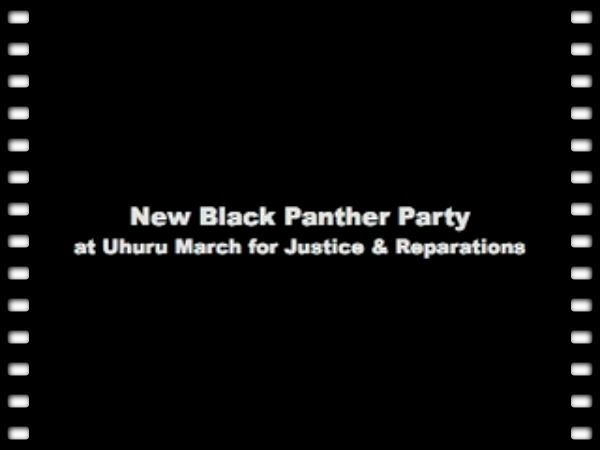 On Martin Luther King Jr. Day, January 19th, 2009, the International People's Democratic Uhuru Movement held a March for Justice & Reparations for the Family of Oscar Grant III from the West Oakland BART station to Bobby Hutton (AKA DeFremery) Park. 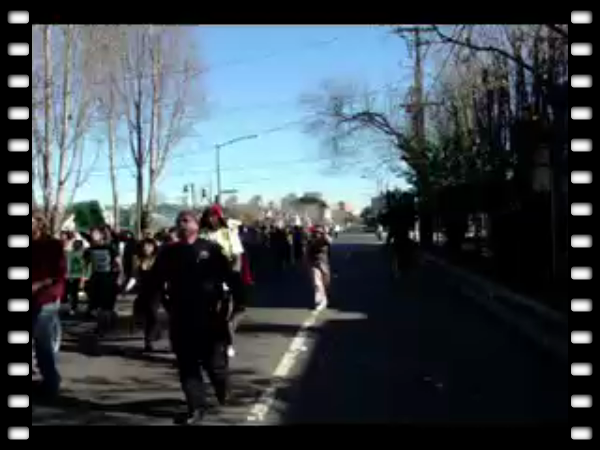 The march of a couple hundred people through West Oakland included a stop in front of the building that housed Marcus Garvey's headquarters at 8th Street and Chester and one at the site where Bakari Olatunji of the African People's Socialist Party said Huey P. Newton was murdered in 1989 on the sidewalk of 9th Street between Chester and Center Streets. The march came to Bobby Hutton Park where several speakers addressed the long history of police violence against African Americans in Oakland — including the murder of Li'l Bobby Hutton, and attacks against other Black Panthers and people of color. Every one expressed their determination to stop the police violence against the community through a variety of means. From there, the group marched back to West Oakland BART, where after a few more speakers the demonstration ended for the day. A historical Speech Delivered by Angela Davis at DeFremery Park AKA Bobby Hutton Park in Oakland, CA on November 12, 1969 still has relevance today.